Thank you Sandra from Sandra Conner … By The Book for this challenge, windows do make for some interesting photography. 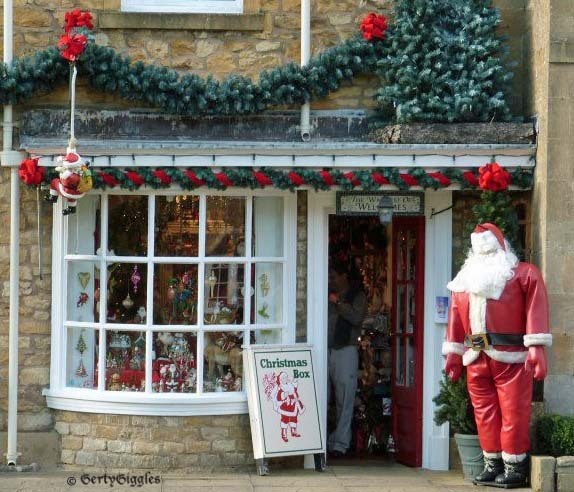 This window is of a permanent Christmas Shop in a village called Broadway in the Cotswolds, UK. That’s a splendid Christmas Window G ! Well it was taken late in afternoon so he had been on his feet all day and at his age it’s not a good thing to do!